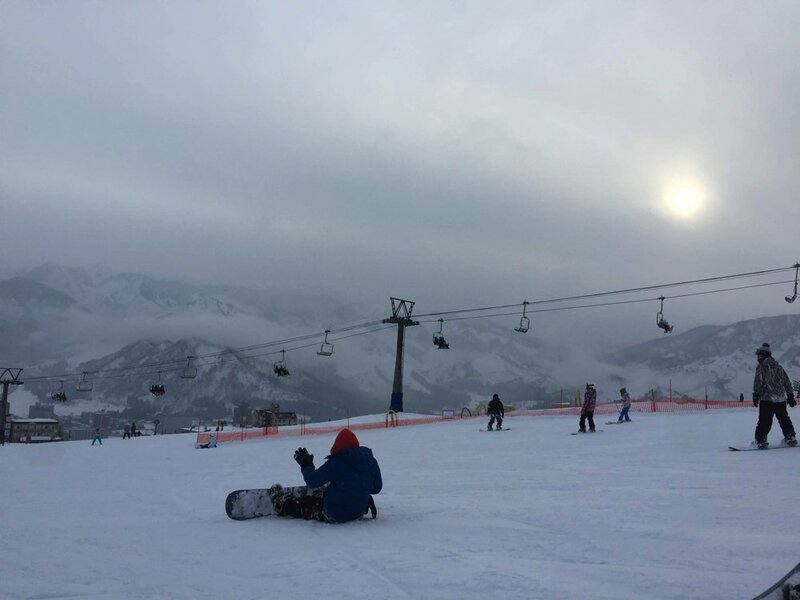 Snowboarding has becoming my thing to do on the weekend especially this year. My first goes way back and it was when I was studying the U.S. It was fun but very painful. I was away from snowboarding for several years until I tried for the first time in Japan two years ago. I don't really know how it's like to snowboard in other countries but at least I can tell you how it's like for people in Tokyo. There are so many mountains in Japan which makes it easy to find ski resort. But how should we choose? 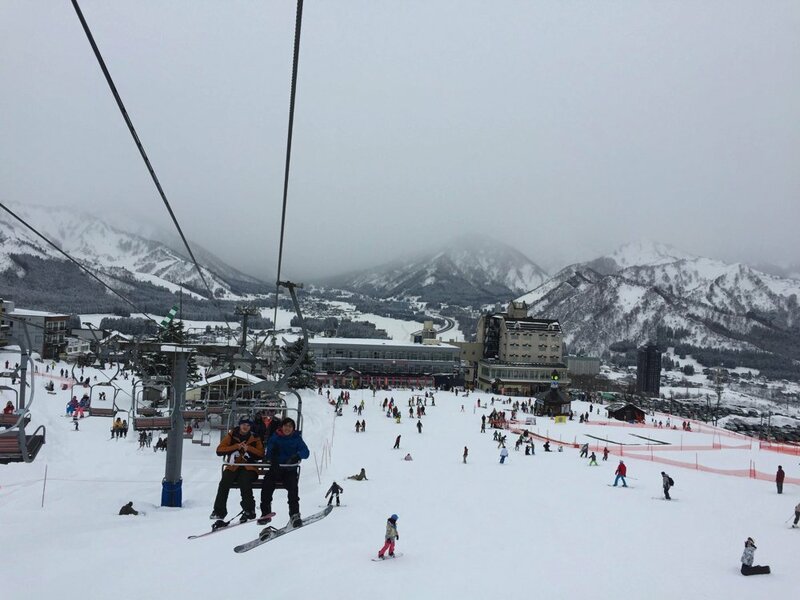 First, you need to get to the ski resort and it often times already is quite a journey unless you live in Tohoku region or Hokkaido. For people in Tokyo. There are basically 3 ways to go to reach the ski resort; bus, car and train. 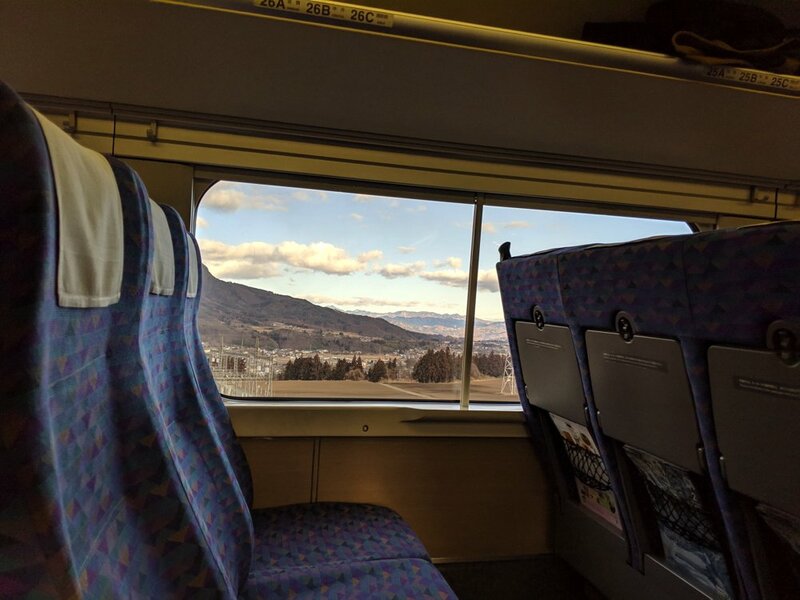 I guess getting on a train to reach ski resort is something hard to imagine for most people. Even I tried this for the first time just a week ago. I think it's so much easier taking trains than taking a bus or car. Let me tell you why and how the trip looks like. This is the biggest reason that I like taking Shinkansen for snowboarding. It takes at least 2-3 hours to reach the closest ski resort from Tokyo. Shinkansen only takes 90 mins to reach Niigata, the hotspot for ski and snowboarding. 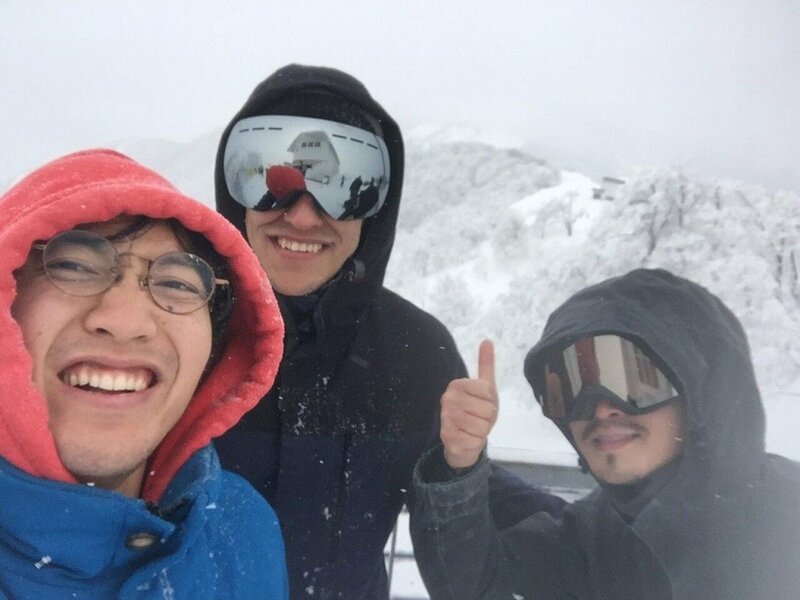 Last year, I went to Norn Ski resort in Gunma prefecture, the bus I was taking caught in traffic jam and lost so much time on the highway, my friends and I ended up having only 3 hours to snowboard. Shinkansen snowboarding, on the other hand, took only 1 hour and half to reach the ski resort. We took 6 am train from Tokyo station to reach Echigo Yuzawa station at around 7:30AM. The ski resort is open from 8AM to 5PM which means we had 9 hours at the resort. 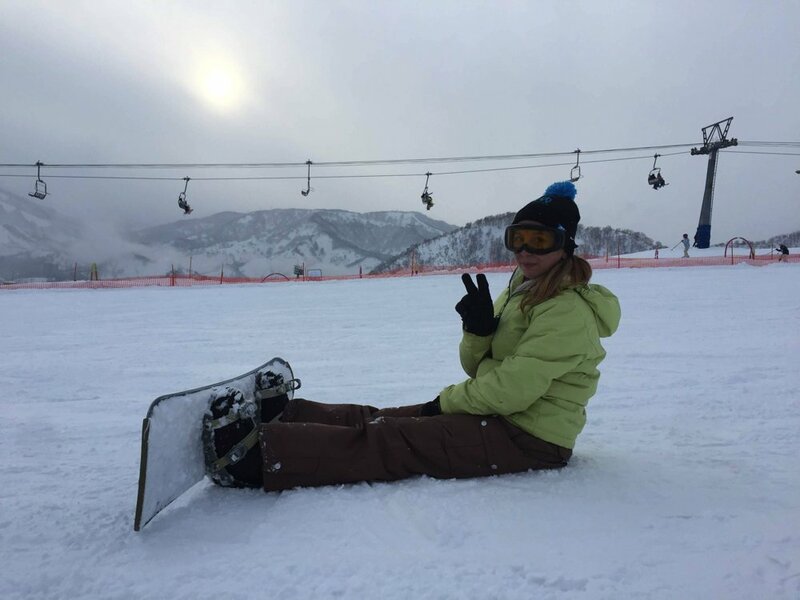 It's always better to have longer time at the resort because you won't always be snowboarding. Renting gears and changing could take like an hour depending on how big your group is. You have to have another hour or so for lunch and short breaks. I guess this is no-brainer but it's something important for some people. It's stressful that you have to worry about getting sick on the way and being stuck on the subway. There are bathrooms equipped with shinkansen cars. You can go to a bathroom any time you want. There are more personal space in shinkansen cars compared to cars or busses, which makes the entire trip much more comfortable. This is probably the biggest reason that like the shinkansen trip better than other trips. The station we dropped off at is Echigo Yuzawa station and it's one of the biggest stations in that entire region. The prefecture of Niigata is know as the biggest rice producer in Japan it means they have very good sake brands. 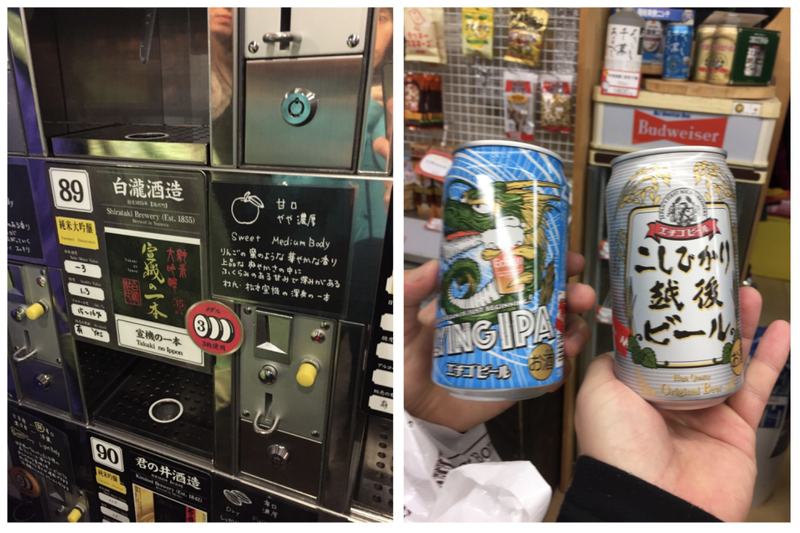 In Echigo Yuzawa station, there are so many shops ran by the local sake breweries. It's a sake tasting store where you get to choose 5 sake cups out of 200 sake brands. It's cool that everything is fully automated as there are sake servers and you insert coins for the sake you want to try. You can get 5 coins for 500 yen at the entrance. Basically what you do is choose the sake, insert coins, and drink. Some brands only require just a single coin, whereas some require 3 coins. Each cup is very small and they only serve 15-20 ml for the single sake tasting. It's obviously not enough to get drunk but that's not entirely the point. If you think of it as an opportunity to find your favorite sake, it makes so much sense. Just like wine, there are so many sake brands in Japan. It's impossible to try out all of them. With this store, you get to know at least what kind of sake you like better than others. There are also many hot springs around this region. I have not tried yet but there's a sake bath in the station. It's more like a sento but they pour sake into the water where you bath in. I heard it's good for the skin and it obviously warms you up even faster. Sounds intriguing? Give it a try and tell me. I'd like to know too. As you have seen above, I guess doing snowboarding is not just what we do during the whole trip. There are so many other things that you can do during the trip. Hope you get to try this Shinkansen snowboarding while you're in Japan. 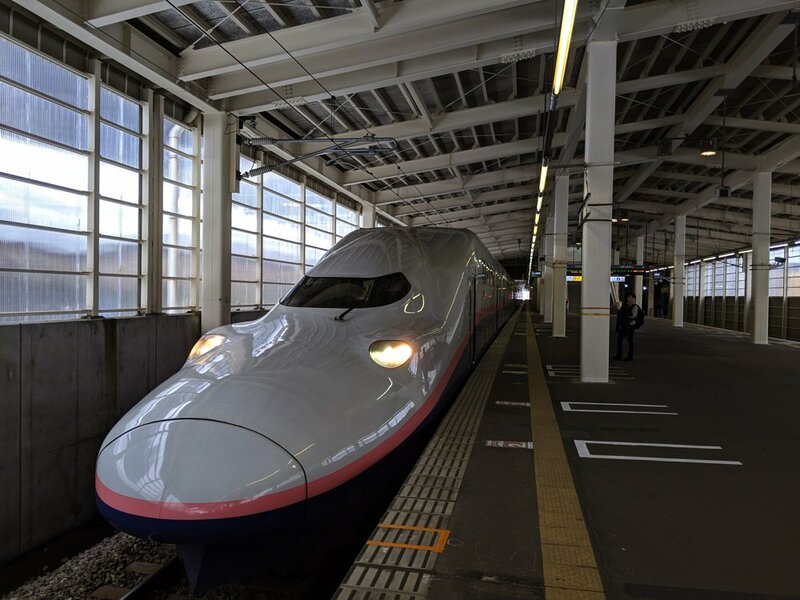 Make sure to buy the trip here at JR site as they often offer a better deal than buying shinkansen fare individually. We paid 11400 yen for a round trip Shinkansen and the lift fare at the resort. Renting gears cost additional but it's only 3500 yen or so.